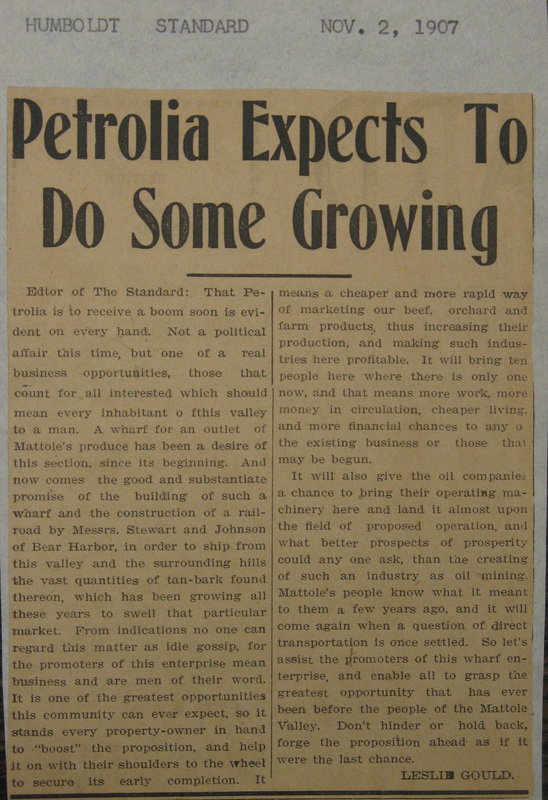 Leslie Gould was expressing the excitement of many an ambitious Mattolian in this 1907 article anticipating the Mattole Wharf, which did in fact serve the ranchers, farmers, and tanbark entrepreneurs of the Valley from 1908 until at least 1913. Its builder, Calvin Stewart, owned and ran the Mattole Lumber Co., which specialized in harvesting and shipping tanbark oak. 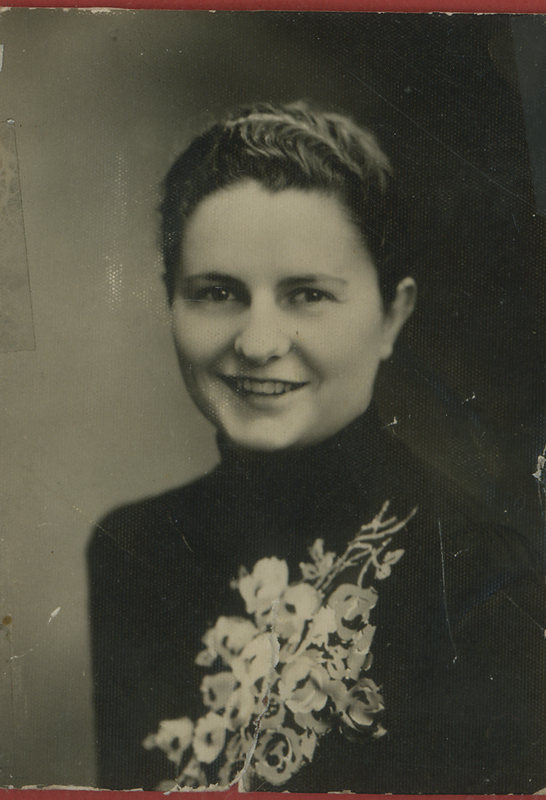 Leslie Gould was a Mattole Union School teacher, married to Norine Clark, the daughter of Grampy Wm. Clark and sister of T.K. Clark. He published another article that year about the wondrous glowing prospects of Petrolia– soon that, and eventually much more about the Wharf. The first lady of Petrolia history. Her collection is the foundation of the Mattole Valley Historical Society’s. I was lucky enough to know her in her later years, but didn’t realize until seeing the extent of her gathering of notes, articles, pictures, awards, cards, artwork, etc., how very much she loved history and the Mattole Valley. This is my first attempt at a blog. Believe it or not, it took me several hours to get to this point. Please be patient; i am trying to get a regular (old-fashioned print media) newsletter finished in the next couple of weeks. Then i should start actively blogging. I also will put a little fire under the webmaster of the mattolehistory.org site. The registration was allowed to expire, but we still have the domain name, and it should be up and running again soon. Meantime, if you are interested in joining the Mattole Valley Historical Society–which is not only a wonderfully generous thing to do, but gets you the twice-annual newsletter Now… and Then– please comment here with your information; or contact me at mattolehistory@frontiernet.net; or mail MVHS, PO Box 144, Petrolia, CA 95558; or call 707-601-7300. If you like your first newsletter, i hope you will be sending us a check for $20, or whatever you can afford, as annual dues. Thank you!